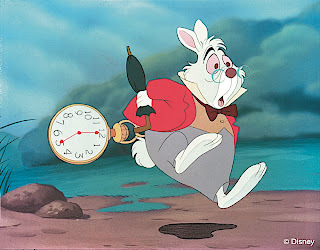 If studio founder and art-form innovator Walt Disney had had it his way, the eponymous company's breakthrough feature length animated film would've been Alice in Wonderland instead of the superlative, Snow White and the Seven Dwarfs . 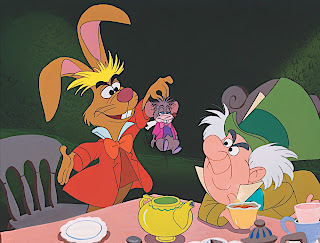 The goal of blending together elements of Lewis Carroll's novels Alice in Wonderland and Through the Looking Glass had been an obsession of Disney's for roughly three decades, since he first started out in short animated fare at the tender age of twenty-one. And sure enough, adapting Carroll's children's stories that have since been classified as “literary nonsense” proved to be an extraordinary challenge for all concerned, especially when it came to choosing a strategic visual approach from live action to animation or something in the middle. Yet thanks to a remarkable track record of his first few films and advancing technology, Disney knew exactly what he wanted to do in his loose, musical and whimsical 1951 retelling. 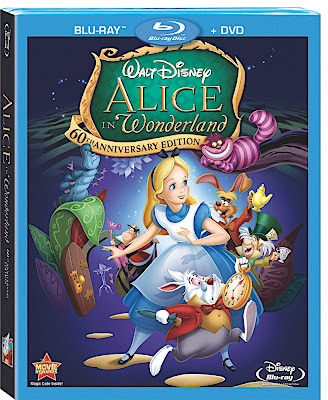 And whether you love Alice ’s “curiouser and curiouser” parade of creativity gone mad or hate the nonsensical narrative overall, the finished product -- turning sixty this year in a flawless high definition Blu-ray transfer -- resulted in what is now considered one of the studio's indisputable classics. 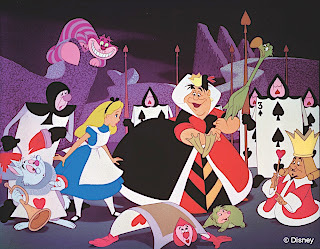 Moreover, given the artistic abandon on display which was in stark contrast to the emphasis on fairy tale soft curvy, well-balanced shapes and light color palette evidenced in some of the more adorable, demure, or earnest supporting characters from Disney's past works, 1951's Alice is likewise one of its most visually audacious and immediately identifiable productions. And particularly when witnessed via this stunning Blu-ray, it's easy to understand why Alice remains influential, considering the way that illustrators embraced an architectural approach. From one frame to the next, your eyes experience surprisingly hard and asymmetrical lines that reflected modernism, which were then daringly filled in with a self-consciously heightened use of strong colors that wouldn't have been out of place in an MGM musical to elevate the surrealistic trippy nature of Wonderland . 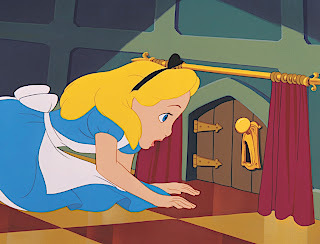 Aside from a freewheeling salute to creative abandon that celebrates the overactive imagination of a precocious lonely young girl whom – and similar to many other Disney heroines – first appears to be an outsider who longs to be part of another world or lose themselves in a different circumstance, the overall point of the film is anyone’s guess. And just like similar tales of young characters thrust into bizarre landscapes from The Wizard of Oz to The Lion, the Witch and the Wardrobe , the fantastical journey through Wonderland spirals further and further out of control to the point where you either enjoy the incoherent ride or wait patiently for the predictably abrupt dream world vs. real world conclusion. Honestly, I disliked and was frightened by all of the aforementioned titles as a child, most likely because as Alice confesses, “I want to go home but I can’t find my way,” the idea of having no real quest or path to take to proactively return to reality turned the danger of being lost and in peril into a nightmare world rather than the intended dream one. And since we feel powerless enough as it is when we're young, the thought of finding ourselves trapped (i.e. kidnapped) against our wishes is a premise in which I never manage to find the joy unlike say, watching Ariel and Belle make the decision to venture into uncharted territory in The Little Mermaid and Beauty and the Beast of their own free will. 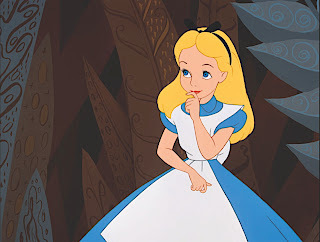 Nevertheless, in this superlative remastered high definition release I can certainly appreciate the aesthetic value in 1951’s Alice , which still feels fresher than last year’s hyper-stylized live action mess directed by Tim Burton to worldwide box office success. Yet in evaluating the tale from beginning to end, I guess it's safe to say that I’ll never be a fan of falling down rabbit holes for fun.